What was State Senate Majority Leader Russ Decker (D-Weston) thinking? Or why was he not thinking when he inserted his outrageous amendment in the State Senate budget passed last Wednesday evening that would hamstring the Wisconsin Government Accountability Board's ability to mount and/or continue an investigation into government corruption -- particularly if the wrongdoing is happening in the Wisconsin Legislature? Russ Decker and his staff were around when the Legislative Caucus Scandal occurred. Decker knew that the Government Accountability Board (GAB) was devised by Senator Mike Ellis (R-Neenah) with assistance from Senator Jon Erpenbach (D-Middleton) and Common Cause in Wisconsin (CC/WI) in the months immediately following the criminal chargings for felony misconduct in public office for illegal campaign fund raising of then-State Senate Majority Leader Chuck Chvala (D-Madison), State Senator Brian Burke (D-Milwaukee), Assembly Speaker Scott Jensen (R-Town of Brookfield), Assembly Majority Leader Steve Foti (R-Oconomowoc), and Assistant Majority Leader Bonnie Ladwing (R-Mount Pleasant) in Wisconsin's biggest and darkest political scandal in modern history. Decker even voted for final passage of legislation to establish the Government Accountability Board and its key component -- independent "sum sufficient" funding for investigations not subject to control by the Legislature. So what was Decker thinking? His spokesperson, Carrie Lynch -- a long time Capitol insider -- issued explanations that no one in the press or anyone who cares about honest, clean, accountable state government could find credible. Here's one: “Many people felt [the board] needed to justify their budget like everyone else.” What people? Names please! The GAB is being subject to the same cuts to its budget as all other agencies. The GAB investigations are separate because they have to be in order for the GAB to be able to investigate without legislative interference -- the whole point of establishing this new agency! Their spending beyond that for GAB staff for investigations has been little - under $50,000. Who, other than Russ Decker, felt this need to eviscerate the GAB's ability to ferret out corruption? "The only thing this does is put a dollar figure on what is spent. It does not limit their ability to do anything. The provision means that the GAB would use the same process that other agencies use to request more money.The Legislature does them all the time when state agencies need more money for a particular item. These requests are almost always granted." How stupid does Lynch think we are? She is saying that GAB will have to come before the Legislature to request money to investigate the Legislature! That's the whole point. The GAB was specifically formed to have funding independent of the control and whim of the Legislature for investigations! Eliminate that independent funding source and you render the GAB impotent -- which is perhaps what Decker wants to do. But he should not and must not be allowed to get away with it. If he has not done so over the weekend in secret conversations with the Assembly, Senator Decker should apologize to the citizens of Wisconsin and just drop this ill-advised, misbegotten scheme and move on. And if he hasn't or won't drop it, then Assembly Democratic leaders and Governor Jim Doyle should declare the Decker amendment "out of bounds" and off the table as a precondition to working out the rest of the differences in the budget between the two legislative chambers. On Friday morning, one powerful Democratic legislator told CC/WI that the Decker amendment "makes us [Democrats] look horrible." Well yes. And worse. It makes a mockery of the establishment of the GAB. When Mark Pitsch and the Wisconsin State Journal first uncovered and reported this incredibly shocking stunt early Thursday morning, CC/WI jumped on it immediately. We talked to reporters, editorial page editors and legislators-- immediately putting the heat on to get rid of this outrageous proposal. On Thursday morning we issued this statement which resulted in an article in the statewide Associated Press: Senate Budget Limits Funding For Investigations with CC/WI's "take" on the Decker Amendment, an article in the Wisconsin State Journal, and on the statewide Wisconsin Radio Network, this news story: Budget item could hamper investigations. And then there was this story Friday morning by Shawn Johnson over Wisconsin Public Radio: Senate provision would affect financial independence of GAB. We also consulted with the State Journal for their Friday editorial: Don't go back to bad old days at Wisconsin State Capitol, and with the Milwaukee Journal Sentinel for their Sunday editorial: A budget in need of nips, tucks and major surgery -- which listed the Decker provision crippling the GAB as the first item to "delete." Other newspapers have joined in the condemnation of the Decker Amendment. None have come to its defense. Steve Walters, the State Capitol bureau chief of the Journal Sentinel wrote about the Decker amendment: Senators vote to control watchdog's budget. On Friday evening, CC/WI condemned the Decker Amendment on Wisconsin Public Television's program, Here and Now. CC/WI also commented extensively on the secretive, closed-door character of the shaping of the state budget, even as it nears the end game, for Associated Press: Democrats might reach deal on budget in secret. And on Up Front, the news and public affairs program hosted by Mike Gousha for WISN - TV in Milwaukee, and broadcast on television all over Wisconsin, CC/WI talked about that shameful budget process and the chances for meaningful campaign finance reform this year (which are good!) in a five-minute segment that you can watch here: Budget Passed With Closed-Door Meetings. Your reactions and comments? Stay tuned to see how this "Decker drama" is resolved. We cannot imagine that Decker will not be forced to withdraw his shameful measure. There were small stories in the Journal Sentinel and Milwaukee Magazine recently about an easily overlooked obituary. The deceased is an idea called SEED (School for Educational Evolution and Development). I was a witness to its Wisconsin birth a couple of years ago. SEED was invented in Washington, D.C., and Baltimore a few years ago. It is a boarding school which takes students at random from poverty-stricken and otherwise non-functioning areas in the city and gives them a boarding school opportunity. The students come to school at 8 a.m. on Mondays and go back home at 8 p.m. on Fridays if there is a home to go to. If not, they stay at the school full time. As you can imagine, this is not cheap. It costs something like $30,000 per student (more than three times the per-student costs in public schools) and a facility has to be built to house them as well. The reasons the Milwaukee leaders who listened to a presentation about SEED greeted the idea more warmly than one would imagine is the results it was producing in the east. Almost 100 percent of the students finish high school. More than 80 percent go on to college, where they also succeed. And, best of all, many if not most of them return to the places they came from when they entered the SEED program where they become role models and leaders for the larger community. All of a sudden $30,000 per student--which compares favorably with the cost of incarceration in Wisconsin--didn’t seem so expensive after all. The Milwaukee audience whose members have been desperately seeking solutions to the cultural, educational, social problems of that city finally felt that they were seeing an idea that might work. It was expensive. It would take a very long time to get to speed. It attracted the best and brightest and most eager teachers. It offered hope. The gestation period did not go smoothly. The first entrepreneur to step forward stepped aside to pursue another opportunity and then went away. His successor picked up the pieces, but before he could put them back together all of the people and organizations who would have to come up with the money were much less affluent than they had been. Worse yet, the state, which was looking for this kind of a solution for its largest and troubled city, had fiscal troubles of its own. There were also rumors that the teachers’ unions were not enthusiastic and perhaps there were dissidents from the policy, from the idea itself, but the immediate cause of death was money-starvation. Governor Jim Doyle called SEED a “wonderful thing” but unaffordable right now. No matter. The governor, the economy, the expense, the city, whoever or whatever, the sad fact is that SEED is dead. The cancer for which it might have offered a cure is not. Mourn its passing. The Wisconsin State Assembly is demonstrating commendable initiative and responsiveness in considering and moving forward major campaign finance reform legislation strongly supported by CC/WI. On May 27th, the Assembly Elections and Campaign Reform Committee held a public hearing on the measures and will vote next Tuesday, June16th, on the measures. The Chair of the Committee, Rep. Jeff Smith (D-Eau Claire) has been a strong and responsive supporter of campaign finance reform. The first measure to be voted on is ASSEMBLY BILL 63, introduced by Rep. Kristen Dexter (D-Eau Claire), that would require the disclosure of donors and regulation of money used in currently undisclosed, unregulated campaign communications masquerading as issue advocacy, better known as "phony issue ads." These measures would apply only to widely disseminated communications that run 60 days or less prior to an election. This legislation, first proposed and devised by CC/WI in 1997, would close the single largest loophole in Wisconsin's currently loophole-ridden campaign finance laws. The second measure to be voted on is ASSEMBLY BILL 65, introduced by Rep. Gordon Hintz (D-Oshkosh) and Rep. Steve Hilgenberg (D-Dodgeville), which is better known as the "Impartial Justice" bill. It would provide full public financing to qualified candidates for the State Supreme Court who voluntarily agree to abide by spending limits totaling $400,000. To read CC/WI's written testimony on AB 63 and AB 65 go here. To watch video excerpts of the testimony go here. CC/WI has learned that if consideration of the state budget is not complete by next Tuesday, the committee votes on the two measure may have to be postponed. Consideration of the reform measures by the full Assembly would likely occur in September, when the Assembly will hold its next floor session after completion of the state budget. Yesterday, Assembly Speaker Mike Sheridan and Assembly Majority Leader Tom Nelson made the wise decision to postpone the golf outing until after the Assembly was finished with the budget, which led to another front page article in this morning's Journal Sentinel: Assembly Democrats postpone golf fund-raiser. CC/WI, which first proposed banning all campaign fund raising while the budget is being crafted back in 1997, is very pleased and grateful to Assembly leaders for doing the right thing and postponing their event. Finally, the United States Supreme Court on Monday, ruled for the first time that elected judges must disqualify themselves from cases involving people who spend large amounts of money to put them on the bench. The Court said that the due process clause of the U.S. Constitution does play a role in judging the influence of money in judicial elections, and that money can lead to "actual bias." The ruling has tremendous implications for the role of money in Wisconsin's Supreme Court elections--which ought to boost even further the prospects for passage and enactment into law of Assembly Bill 65, the "Impartial Justice" measure. For more on the federal decision and its Wisconsin implications click here. 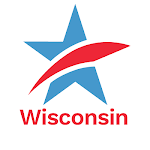 To read the joint statement issued by CC/WI, the League of Women Voters of Wisconsin and the Wisconsin Democracy Campaign, go here. There are some early signs that the new rules of the new "needs" economy, which is quickly and traumatically replacing the "wants" economy that we had all come to overindulge in, may extend to political donating and donations. Advocacy organizations all seem to be hurting. This is hardly surprising because their contributors are no less immune to market shocks, housing realities, the precipitous drop in automobile industry driven jobs, and lots of trouble in discretionary market sectors generally. Lobbyists and lobbying organizations are being asked to get along on less. Their clients may even decide that while their expertise and influence are needed, their role as bagmen is going to have to be curtailed. A candidate is going to find it hard to convince a hard-pressed and less affluent constituency that he or she can't run a successful campaign without a multi-million dollar war chest which will be used to pay for an endless stream of evocative (as opposed to informative) television commercials and other annoyances like automated telephone appeals for money and/or votes. Even the zealots with their emotional causes will find their appeals are not as effective when addressed to millionaires whose fortunes are impaired and to the rest of us who have hunkered down until and unless we get a bead on a suddenly unfathomable future. People are deciding that eating well or sending their kids to college is more important than whether gays get married, buying automatic weapons we can't afford, gaining icon status from icon-sized contributions, or any of the multitude of ideas large and small that we were willing to throw money at when money was a lot easier and more plentiful. It may be wishful thinking, but the market may do what good reform ideas and worthy informers haven't been able to do. The market seems to be saying no to the Hummer and McMansions. Could lavishly endowed campaigns on issues and for and against candidates suffer the same fate? The market as the ultimate reformer? To read CC/WI's full written testimony, go here.